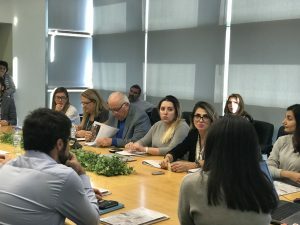 YEREVAN, Armenia – On October 5th, the Manoogian Simone College of Business and Economics (CBE) of the American University of Armenia (AUA) hosted the American Chamber of Commerce in Armenia (AmCham) and several representatives from its member companies to discuss opportunities for future cooperation. 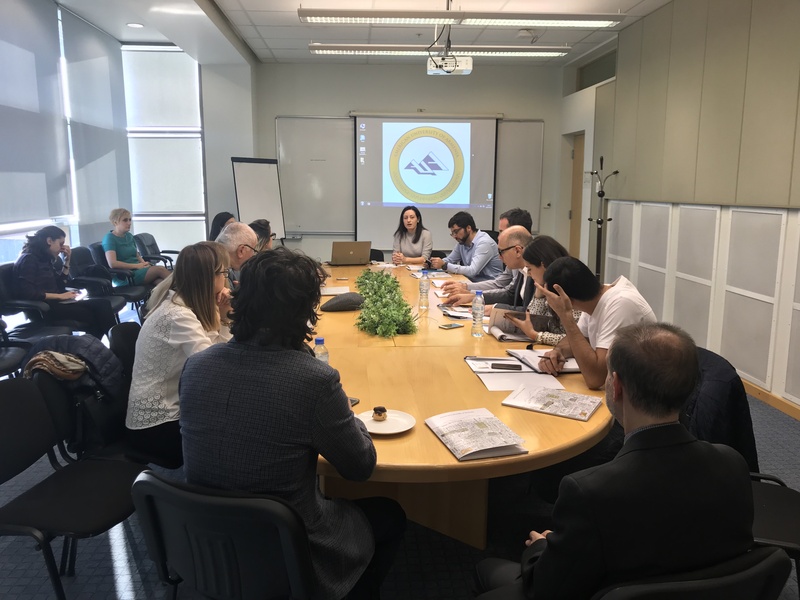 During the meeting, the CBE presented its undergraduate and graduate programs, as well as focused on three possible directions for cooperation: course specific projects, graduate capstones and undergraduate internships. AUA and AmCham have had a long-standing partnership for many years. AUA is a member of AmCham, and the University’s Vice President of Operations, Ashot Ghazaryan, is a member of AmCham’s Board of Directors. AmCham has a solid network of around one hundred member companies, and provides a reliable platform for reaching out to companies from different industries including banking, insurance, consulting, mining, beverages and more. AUA courses such as Market Research, Business Analytics and Human Resources Management would like to eventually partner with AmCham member companies to host group projects for teams of students. Also discussed was the possibility of extending certain projects into additional courses. In the coming weeks, the two parties will further specify possibilities for collaboration for the upcoming semesters, establish timelines, and discuss those possibilities with interested companies. Collaboration involving capstone projects, which are a cumulative experience at the final semester of study, will also be explored. Capstone projects allow students to bridge the skills and knowledge acquired during their studies and concentrate a full semester or more on a business consultancy project. 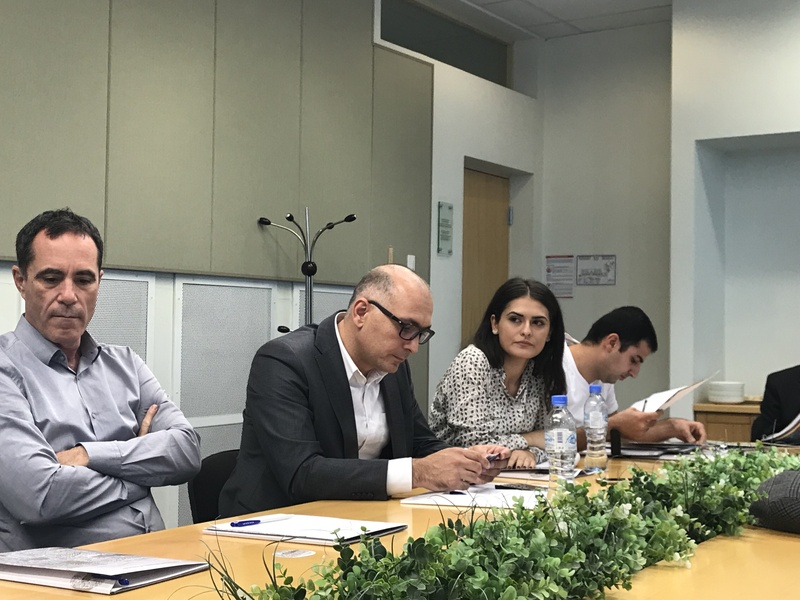 Anahit Sargsyan, internship coordinator for the Bachelor of Arts in Business program, indicated that the meeting was a good opportunity to spread the word about AUA’s Business Internship course to AmCham representatives in hopes of establishing partnerships with new companies, and thus enlarging the spectrum of students’ interests and recruiting more students both within the scope of the internship course and outside of it. Both AUA students and AmCham member companies will benefit from this type of sustainable, long-term partnership. 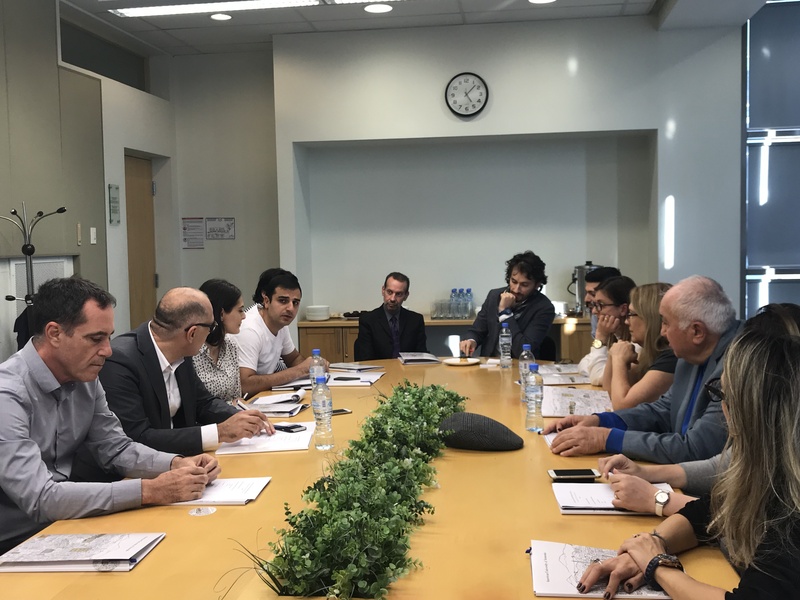 In addition, it will strengthen the ties between AUA, as an academic institution, and Armenia’s corporate environment, providing students with more opportunities for applied learning and a smoother transition into the job market.